Every Child Matters represents the most radical change to education and welfare provision in almost two decades. This book moves beyond a descriptive ‘how to’ framework to examine the underlying political and social aims of this policy agenda. a redefining of the education sector around the needs of the child. 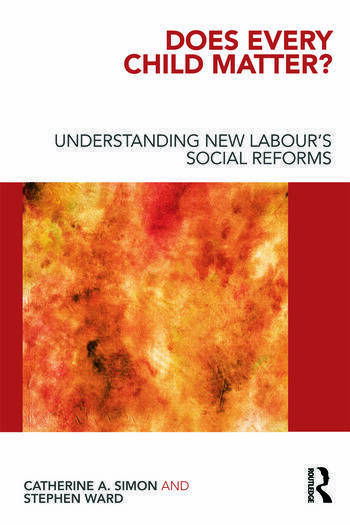 This book provides a unique and insightful critique of Every Child Matters and its contribution to understandings of New Labour social policy. It locates the genesis of the policy in terms of its social, political and historical contexts and questions the validity of constructing social policy around issues of child welfare. Students, academics and researchers in education studies and education policy will find this book of great interest. @contents: 1. The Political Origins of Every Child Matters 2. Modernizing the Welfare State: New Public Management 3. International Comparisons: No Child Left Behind and Excellence for All Americans 4. Sure Start: Combating Urban Disadvantage 5. The Five Outcomes of Every Child Matters 6. Poverty and Economic Wellbeing 7. Child Welfare and Looked-after Children: From Protection to Prevention 8. Citizenship and a New Social Order 9. Challenging Parents: Government in loco parentis 10. Multi-agency Working: Plowden Revisited 11. Redefining the Education Sector: The Challenge for Schools 12. Conclusion: Does Every Child Still Matter? Catherine A. Simon is a Senior Lecturer in Education Studies at Bath Spa University. Stephen Ward is Dean of the School of Education at Bath Spa University.